Family: Slain football coach Alexander Villafane kept kids off the street | Homicide Watch Chicago | Mark every death. Remember every victim. Follow every case. Villafane, of the 2300 block of South St. Louis Avenue, died two days later at Mount Sinai Hospital, according to the Cook County medical examiner’s office. “I’m at a complete loss … I would never imagine, in a million years, out of all the things that could happen, something like this.” said Villafane’s stepdaughter, Jennessa Martinez. She said her stepfather dedicated his life to keeping children on the football field and off the streets. Villafane started the Humboldt Park football team with his brother about 10 years ago as a way to help at-risk youths, family said. He coached more than 300 children, many of whom went on to play high school or college football, Martinez said. “It’s hard to see that the very thing he was fighting against was the thing that took his life,” she said. Relatives described the father of four as a “family man” who was a “role model” to many. The family believes Villafane’s shooting might have been a case mistaken identity. Witnesses only told relatives that a gunman inside a passing minivan shot Villafane, the family said during a press conference calling for more police cameras in the area. 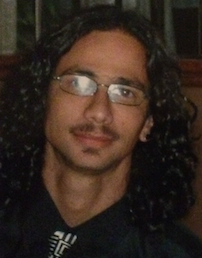 Family members are asking anyone with information about Alexander Villafane’s murder contact Area Central detectives.